Rats: To the South of Lumbridge Castle you will find Lumbridge Swamp. Here F2P Players can fight Rats to get to level 20. Al-Kharid Warriors in the rooms to the east and west in Al Kharid Palace. Hill Giants in Edgeville Dungeons. Enter through the house to the north-east of the Barbarian Village. You will need a Brass Key that you can get from the Grand Exchange. Or you can get the key from the dungeon by entering from Edgeville. Flesh Crawlers and Zombies on the second level of Stronghold of Security are good XP for player level 40+. Hobgoblins are also a good choice for these levels. Moss Giants in Varrock Sewers are good for leveling. Wear chain armor and a slash weapon. Ice Giants are a good alternative to Moss Giants. They can be found in the Asgarnia Ice Dungeon the in the north-western part of the Wilderness. Giant Spiders in Stronghold of Security are the best XP for these levels F2P. Ogress Warriors and Ogress Shaman in the Corsair Cove Dungeon are good for level 80+. Members can do the Waterfall Quest by talking to Almera in her house to the northeast of Baxtorian Falls. This will take you to Attack and Strength level 30 and Combat level to 22. 20+ Al-Kharid Warriors in Al-Kharid Palace. 30+ Chaos Druids in Edgeville Dungeon or Chaos Druid Tower. Nightmare Zone to the north of Yanille. 80+ Reventant in the Revenant Caves. 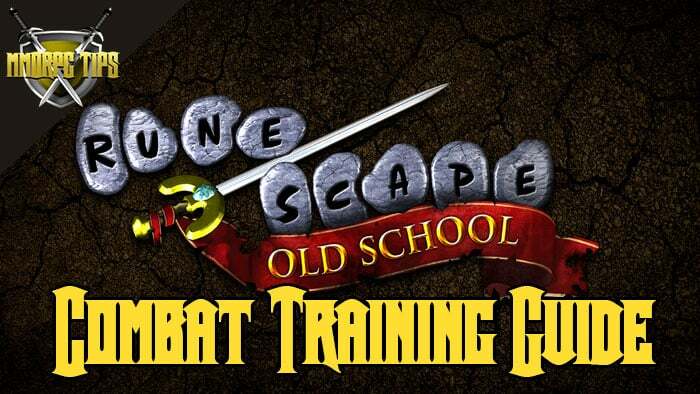 If you have any questions about Old School Runescape Melee / Combat Training, let us know in the comments below!